This holiday the popular scifi saga continues as Star Wars: The Last Jedi premieres on December 13, 2018. It’s undeniable that Star Wars has had a great impact on pop culture ever since the first movie premiered in 1977. Influences and references can be found everywhere: music, movies, fashion, and of course, games. We’re also feeling that the force is strong with Square Enix. Just this year, they collaborated with Disney and Lucasfilm to bring a reimagined Star Wars figure line-up for the market. Since Disney bought the Star Wars franchise in 2012, it’s highly possible that the iconic characters may also appear in the Kingdom Hearts series sooner or later. Note: this article includes some minor and major spoilers about the following games and movies. Throughout the Final Fantasy series, the most common Star Wars reference has been characters named Wedge and Biggs who pay homage to Wedge Antilles and Biggs Darklighter from the Star Wars franchise. This duo appears in nearly all Final Fantasy titles alongside Cid, Chocobo, Moogle and Cactuar. The first appearance happened back in 1994, when Final Fantasy IV released for Super Nintendo Entertainment System where they were Imperial Soldiers escorting Terra at the beginning of the game. Did you know that the original translation had Biggs named as “Vicks”? In Japanese, his name is ビックス which reads as “bikkusu” with a “B”, but the English translator of the time didn’t see the reference to Star Wars. It’s quite understandable considering the Japanese name ends with “kks” and not “ggs”. 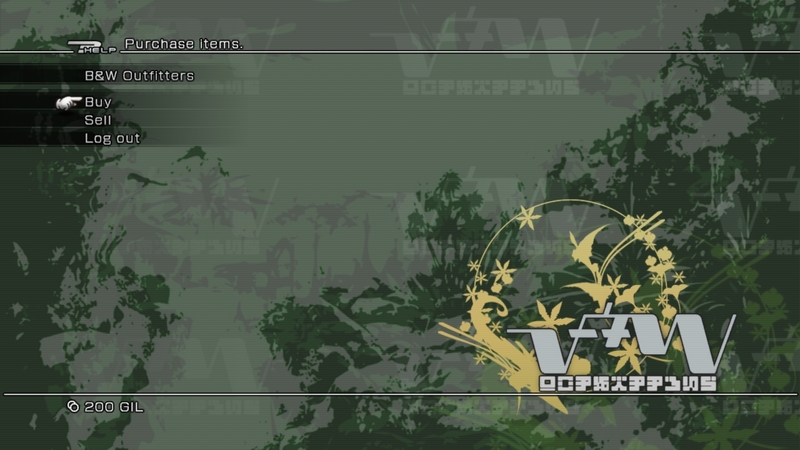 However, this mistranslation has been fixed for the re-releases and even Square Enix developers themselves made fun about it in Final Fantasy XIII: B&W (Biggs & Wedge) Outfitters retail network’s logo spells out “V+W”, which is directly refers to the English mistranslation. In Final Fantasy VII, Biggs and Wedge work as members in Avalanche – a rebel group founded by Barret Wallace. The double act served comic relief as incompetent Galbadian Soldiers who frequently encounter the party in Final Fantasy VIII. Blizzball addicts may have noticed that in Final Fantasy X, Wedge and Biggs work as guards at the blitzball stadium and can be recruited for the player’s team. In the sequel, they are officially part of the Gullwings’s blitzball team. You couldn’t even miss them in Final Fantasy MMOs: they can be spotted as Aht Urghan Mercenaries in Final Fantasy XI and as engineers with the Garlond Ironworks in Final Fantasy XIV. In Chrono Trigger, there’s a mini game at Norstein Bekkler’s Lab which involves soldiers named as Biggs, Wedge and Piette. In addition to the duo, Piette pay homage to Admiral Piett, who was promoted to admiral and given command of Darth Vader’s flagship. There’s also a weapon shop in Kingdom Hearts run by Biggs and an armor shop run by Wedge. In Lightning Returns: Final Fantasy XIII, Wedge and Biggs appear in Yusnaan and are associated with the death games where the player is tasked in slaying powerful monsters. After completing the quest, the player can meet them in the market area and hear traveling musicians playing Terra’s Theme. At the end of Final Fantasy IX, the final boss quotes Yoda from Star Wars Episode I: The Phantom Menace: “Fear leads to anger. Anger leads to hate.” Additionally, Kuja states that “Everything is proceeding as I have foreseen,” an exact match of Palpatine‘s line in Star Wars Episode IV: Return of the Jedi. In Kingdom Hearts, King Mickey is known from his quick attacks and great agility despite his small size, much like Master Yoda in Star Wars Episode II: Attack of the Clones and Star Wars Episode III: Revenge of the Sith. In addition, the Gummi Ship level “Assault of the Dreadnought” has a giant Death Star -esque cube. Deus Ex also features the Dragon’s Tooth sword having a resemblance to the lightsaber. Final Fantasy XII Goes Star Wars? 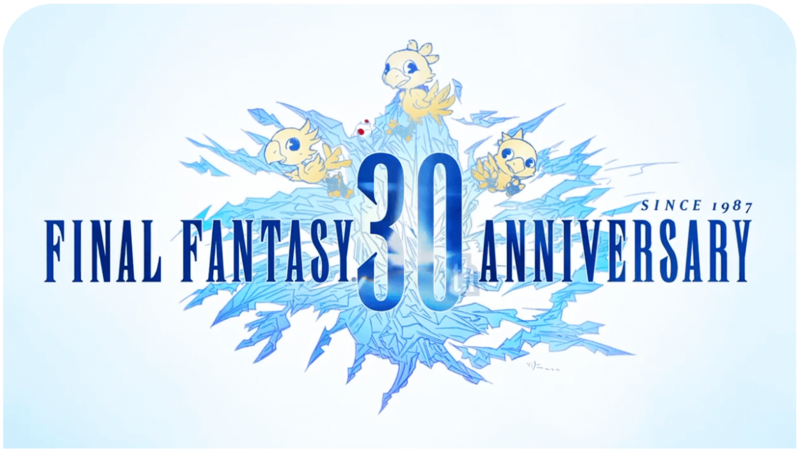 Over the years, the fans of both series have noted that Final Fantasy XII has similar plot elements and characterisations to the original Star Wars. Similar to Luke Skywalker, Vaan is an orphan boy in the world oppressed by the Empire. He lives along the poor yet longs to one day fly in the skies and live a better life. Vaan eventually becomes involved with the resistance who defines the empire similar to the rebels in Star Wars. During his journey, Vaan meets sky pirate Balthier who values treasures and women – like Han Solo. Similar to Darth Vader, one of the antagonists was a former hero but after failing to protect others and starting to hate himself, he becomes a high-ranking soldier in the Empire. He also turns out to be one of the main characters close relatives and eventually redeems himself. Have you spotted any other Star Wars references? Share with us on Twitter! These are just some of the Star Wars references and influences in Square Enix games. After spotting characters like Wedge and Biggs, it’s easy to see developers referring to their favorite movies on purpose. Yet, some of the story elements and characterisation analysis are always on the line whether they are intentional or not. Have you spotted any other Star Wars references? Hit us up! 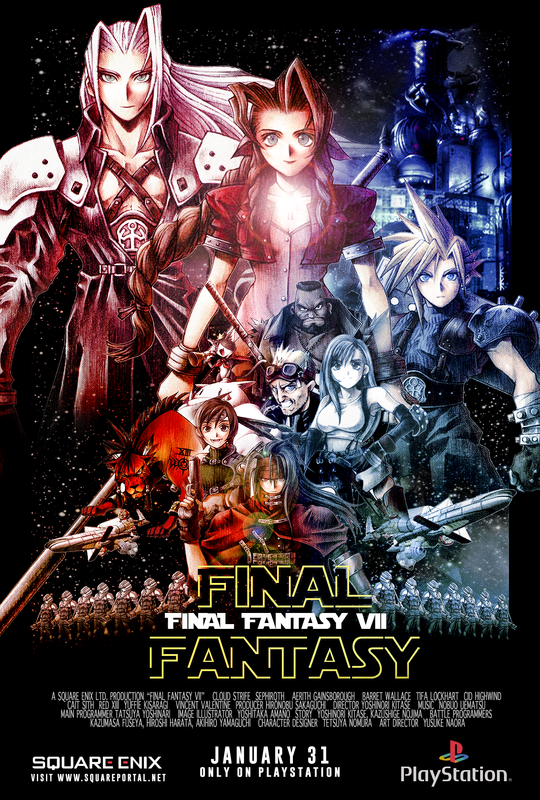 Bonus: Final Fantasy “Episode VII” Poster by Square Portal | Original Character Designs © Square Enix Ltd.